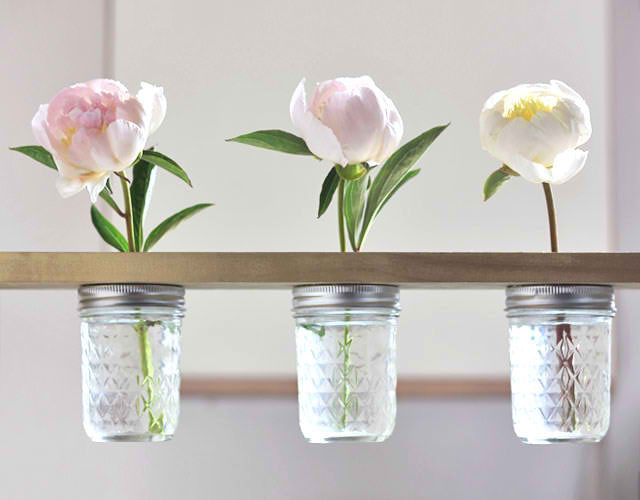 This mason jar shelf is the perfect way to display single blooms in your home. Get the step by step instructions on how to make your own from With Lovely. What a great addition to your home's decor.